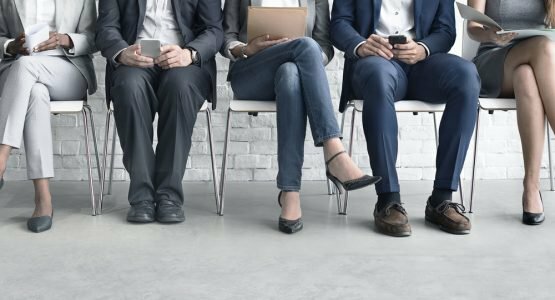 Check out the interview about the Mind the gap survey as we give insight into what the market is considering when recruiting financial executives. JESSICA HUBBARD: Today we’re chatting to Grant Robson and Richard Angus from The Finance Team. The Finance Team is a professional consultancy specialising in the provision of experienced financial executives on a part time, interim or project basis. Last year The Finance Team ran a survey entitled mind the gap, gaps in resourcing your finance department. We’re here with Grant and Richard to talk through the survey and see what we can learn from some of the key insights. GRANT ROBSON: As you mentioned in your introduction, The Finance Team is a professional consultancy, we’re not really a recruitment company as such. We employ our own professionals who we then utilize in the market to provide an interim part-time financial executive solution. So we were very interested to go to the market and find out the elements that we believe are very important in terms of how companies go about making these selections. There were only five basic questions, to ensure that we were on the right track in terms of our reading of what we think the market finds very important when it comes to placing top notch, experienced financial executives. So that was the rationale behind why we conducted the survey. JESSICA HUBBARD: Where was this survey run and who were your respondents? GRANT ROBSON: The survey was run in conjunction with Moneyweb. Moneyweb sent out a link to the survey in the Moneyweb Morning Coffee (recently rebranded as MoneywebNOW) newsletter and then we also conducted the survey at the Finance Indaba in October 2016, which I think drew about 5 000 financial professionals to the event and whoever wanted to come through and do the survey was more than welcome to come through. Readers and listeners of Moneyweb were also invited to come and complete the survey. JESSICA HUBBARD: So let’s dive into some of the key findings that came out of it, anything particularly surprising or unexpected? GRANT ROBSON: I think before we even go into the results it’s really important to just note that the majority of the respondents were from SME companies, so smaller companies with turnover of less than R500 million and less than 200 employees, so I think that’s a really important element. You can expect to get different results from larger companies and I think at a later stage we will do another survey targeted at those larger corporates. But for now, it’s mainly smaller companies that answered, there were different categories, which I’ll ask Richard to go through. And because it was open to a large range of individuals, we then limited the results of the survey to those who we believe are the ones who make the call in terms of who gets employed in the company. Richard, if you can just go through that quickly. RICHARD ANGUS: In terms of those roles, we looked at the chief executive role, the chief financial officer, then also the group financial manager role because they’re often charged with filling holes in a bigger organisation and then also financial managers themselves, because they often have to plug gaps in their team or across associated people and other teams. Then we also had a very small percentage, as Grant indicated earlier, of human resource managers, we only had about 4% of them, just due to the nature of the survey and where it took place. Interestingly, of the people who responded, 44% were in the chief executive officer role, so we are talking to people who are actually the key decision-makers. So we’re talking about the people who are actually making the calls for their own businesses and for that mid-corporate size – staff below 200 and turnover below R500 million. JESSICA HUBBARD: What were the five questions that you were asking? On average, how long does it take to fill a vacancy in your finance department? The majority of respondents, close to 70%, suggested that it’s less than 60 days. That wouldn’t be very surprising from a smaller SME company, so if you look at that result and you look at the larger corporates it’s actually more than 60 days. So a very straightforward question and the basic answer to that is the larger the organisation the longer it tends to take to employ good financial people. JESSICA HUBBARD: Which is intuitive, you would have expected that. Do you have an HR department that you delegate the sourcing of candidates to? That had a surprising response because we actually didn’t expect this, 60% of the respondents said yes, they have an HR department. We actually thought that in the world of 60/40 that probably only 40% would say they have HR departments, 60% actually have the skillset inside their companies. We believe that’s driven fundamentally by two elements, the first is the complexity of the legislative framework in terms of employment law, processes and so on, so compliance is obviously important. Then the reality is that companies are also moving in nature, we’re moving away from manufacturing and heavy industry into more service oriented and technology-oriented environments and that is more people-intensive, so people are now becoming more significant in the world of an entity and a company. The chances are that they are going to spend more time employing people than they are making capital investment decisions in bulk equipment or something like that. So HR is increasing in its stature and importance in the company. JESSICA HUBBARD: It shows that people are finally placing value on their staff. RICHARD ANGUS: It’s the age-old story that your people are the most important asset. GRANT ROBSON: We certainly see it, we effectively employ our own associates at The Finance Team and without good people we just don’t have a business, we don’t have people out there representing the brand correctly and providing a great service. Probably 40% of our time that we spend on a daily basis is going into evaluating who we are going to bring on board to represent our brand and I don’t think there’s any other great company out there that doesn’t think the same way. When sourcing candidates for vacant finance roles, what is the best source of candidates? This is a fascinating question. GRANT ROBSON: It is, the majority of respondents, close to 36%, still go through placement agencies, which is not surprising. In fact, we would have actually expected that to be a higher number, so 36% for us was a bit on the low side. What we did find quite interesting is we look at internal applicants (19%), direct applications on an unsolicited basis (19%), responses for adverts on traditional media and job sites (17%) and then responses to adverts on social media (9%) – if we had done the same survey five years ago, that might have been 1% and it’s gone up to 9%, 10% now. So there’s no doubt that companies, HR professionals are plugging into social media sites like LinkedIn, Facebook and other media that’s out there and that’s really becoming a good source for companies. What I personally find interesting, and people out there who might be listening and interested in approaching a company that they want to work for, 19% was direct external applications on an unsolicited basis. That’s people who have taken the time to write an email to the HR department or the head of HR or the CEO or the CFO to say: I really like your business, this is who I am and can I have a shot. Twenty percent of placements are being made in that way, which I find quite fascinating. JESSICA HUBBARD: Yes, I suppose it also shows you are proactive and hungry if you do that. GRANT ROBSON: It does and I think that’s one of the tick boxes that you want to tick when you take people on board. JESSICA HUBBARD: How do you see the social media element playing out in the coming years, is this going to be a very prominent element in recruiting going forward? GRANT ROBSON: Absolutely, I think if you look at the traditional recruitment companies that are out there, a lot of them are taking strain because this element is becoming much more of a player in the market. So this cutting out the middle man, if you want to call it that, through the likes of LinkedIn and other social media is definitely having a huge impact on recruitment companies out there. It can only get bigger and bigger, I think if we look again in another two or three years it will probably be closer to 20%. It does tell an interesting story as to where this industry is going. What are your three most important considerations when recruiting financial staff? RICHARD ANGUS: I think it goes without saying that those elements of candidate experience, qualifications and the ability to evaluate somebody’s track record are critical elements and those came out on the forefront of that. Interestingly, we had planted one category into this survey that we were very interested to understand, given the context of South Africa, and that was the question of a candidate’s employment equity profile and that continues to be topical. There have been recent comments about whether employment equity is actually reaching traction. When you look at the results overall, we actually see that profile only being critical at a 9% level when you look across the survey, which we initially were extremely worried about and we thought that told us a story about where people see that. If you compare that against Canada, experience and qualifications are at 23% and 18% respectively, then the 9% for employment equity [in South Africa] is fairly low. However, we then dissected the data a little bit and we looked at companies over the 200 staff level and at that point two elements emerged immediately – cultural fit with 19% and employment equity status at 15% were the two most important categories and they were selected every single time by the respondents in that category. JESSICA HUBBARD: Was the cultural fit something that surprised you? RICHARD ANGUS: Not at all because as the organisation gets bigger, making sure you have cultural fit in a large organisation is a critical part of performance but what it does talk to is the fact that cultural fit drives connection and values within an organisation but employment equity status is critical for larger companies. If you look at the BBBEE codes in terms of when employment equity becomes relevant in an organisation, I think these results now mirror those elements quite nicely. If somebody were to say to me, is employment equity important in the workplace, the answer is absolutely yes. You can see in the survey that companies with more than 200 staff members are actively seeing it as one of the most critical parts of their valuation criteria. The fact that it and cultural fit are so close together, tells you that it’s almost as important for them to say what is your employment equity profile and will you actually fit well in my organisation. I was quite surprised by that it does tell a very positive story and obviously the track record on the ground is what counts but this definitely talks to intent that people do consider this very strongly. GRANT ROBSON: If I can just add another point there, if you look at these larger companies the employment equity status choice and it was the first choice of all the respondents, so it just shows you, as we’ve just said, as there are question marks around the importance of employment equity, in these larger companies it’s the most important criteria. Whilst recruiting for financial staff, how do you mind the gap in the interim? Can we perhaps talk to businesses of all sizes, so SMEs and larger corporates? JESSICA HUBBARD: Lots of marketing to do [laughing]. GRANT ROBSON: We’re going to have to change that perception. The other response of leave the work until a new person is appointed I’m happy to say was only at around 4%, so not a lot of people are doing that, thank goodness. Then at 9%, which is quite high, is source a suitable qualified candidate from an audit firm. Again, bearing in mind that these are smaller companies. With larger corporates, you’re not going to find the use of audit firms helping out internally and at executive levels, in fact there was not one answer that would use an audit practice and really because the Companies Act doesn’t allow for that. RICHARD ANGUS: I think for me, the one thing that’s very clear from this whole survey is the fact that the selection of the people in your business is a critical success factor and you can see here that CEOs are responding but you also worry when you see that 50% of the work is effectively just going to be passed to the existing staff. It sometimes worries one that the whole expectation gap of how people expect work to happen actually exists in organisations, so CEOs and people at that sort of level think the work is going to happen and they don’t really, and there seems to be a little bit of a disconnect with what actually happens on the ground and the gaps that potentially need to be filled. For me that’s the one element why our business is important is to enable people to get the work done, to focus on the output and make sure that there’s execution and delivery with experienced people who aren’t going to take six months to get up the curve and so on. If you look at those elements, candidate experience was the highest consideration in the elements of what you would consider the most, 23% of people said I want somebody with experience and that means there’s no time for training. When you’re plugging the hole you want experienced competent people who can step in, fill the gap and from what I can see we want to be able to do that at lower levels in the organisation without the boss knowing that we’re just filling the gap and getting it done. So that was an insight for me. JESSICA HUBBARD: Certainly very important insights for HR professionals and business leaders across the board. That was Grant Robson and Richard Angus from The Finance Team. RICHARD ANGUS: Thanks for having us and a big thanks to Moneyweb for collaborating with The Finance Team on the survey.